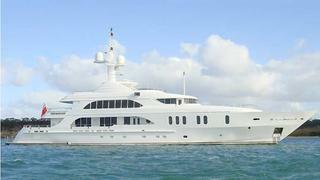 On April 16th I reported a €4 million price cut to Nick Dean's central agency, the 49.9m motor yacht Sensation. Now comes news that there's 70% loan to value finance available for her backed by Barclays Marine Finance subject to approval, making her an even more attractive proposition. Sensation was built by New Zealand’s Sensation Yachts in 2007 and is ABS classed and MCA compliant. This superyacht has accommodation for 10 guests in five staterooms, including a full width owner’s stateroom located on the main deck. A king size bed is positioned on the port side while a large dressing room takes up the starboard side. Forward of this stateroom the owner’s en-suite offers ‘his and hers’ facilities and a magnificent central bath. Aft of the owner’s dressing room, a study completes this elegant space. Sensation cruises at 18 knots and has a 4,000 nautical mile range at 12 knots. Her asking price is €15.75 million.